As the 2016 NFL draft rolled onto Day 3, it was surprising to see so many talented running backs still on the board. It didn’t take long for NFL teams to start picking off the best values. This is what happens when scouts almost unanimously agree that the 2017 rookie class is one of the deepest and most talented at the running back position that they’ve seen. When Day 3 concluded, we were left with a lot of excellent talents in some very intriguing situations. Broken into tiers, below are the seven Day 3 rookie running backs poised to make a fantasy impact in 2016 and beyond. Last year, there were plenty of values with talented running backs coming off the board on Day 3. Our “Tier 1” last year included Kenneth Dixon and Jordan Howard. Dixon’s rookie season was mostly derailed by injury, but Howard broke out. You can find his initial writeup and more in last year’s piece. Let’s get rolling now on this year’s class. The running backs are ranked in order of how I will be targeting them in both redraft and dynasty leagues. For pure rankings on these seven from an independent redraft or dynasty perspective, shout me out on Twitter @DanSchneierNFL and we’ll go from there. Perine is not as talented as ex-Oklahoma counterpart Joe Mixon, but he brings a surprising quickness and elusiveness for his size (230 pounds) in addition to the power that you would expect. In many ways, he’s a rich man’s Rob Kelley. Just before the draft we broke down why you should’ve been selling Kelley — hopefully you listened. Just because the Redskins didn’t select Perine until the fourth round doesn’t mean they’re not serious about having him compete for offensive snaps right away. Kelley averaged just 4.2 yards per carry in 2016, topped 100 yards rushing in just one game, and averaged just 46.6 yards rushing per game over the final six games of the season. The Redskins know they can do better than that. And they can get it with Perine. Perine averaged 6.0 yards per carry at Oklahoma while racking up 4,122 yards rushing and 49 touchdowns on 685 career carries. He’s also an underrated receiver, finishing with 40 receptions for 321 yards and a touchdown as a receiver, despite sharing backfield duties with Mixon. Perine’s trump card at the next level might be his ability to create yards after initial contact. He finished his collegiate career with 3.5 yards per carry after contact — just 0.7 yards shy of Kelley’s total yards-per-carry average in 2016 (albeit that came in the prose). Our draft analysts decided Perine’s best NFL comparison is Michael Turner. They highlighted Perine’s change-of-direction skills, balance, and physical style. These are all traits that translate well to the NFL level. 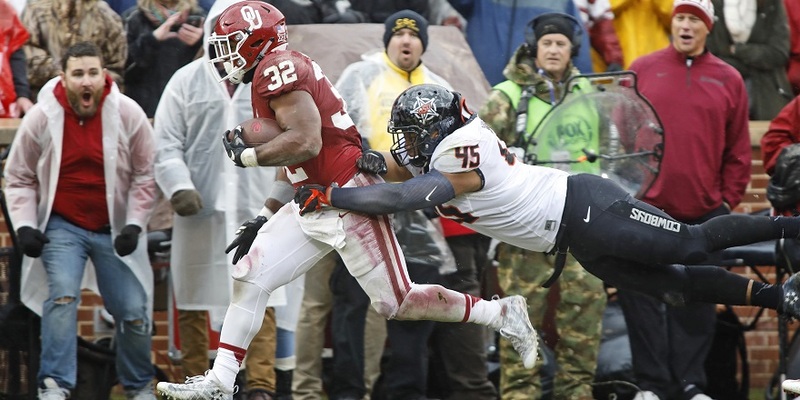 Advice: Perine is squarely on the redraft radar in addition to dynasty leagues. Perine’s preseason play and training camp reports could play a massive role in swaying his draft stock if it starts to look clear that Kelley’s job is up for grabs. Perine has the skill set to run away with the Redskins’ lead back job. In Washington, Perine has the advantage of playing behind a strong offensive line with weapons at all the skill positions.